Lots of our clients have the same question: they ask us if they can dropship from their home country. We have the same answer for all of them. We’d like to make it clear once and for all: you can dropship from ANY destination on the globe. It doesn’t matter whether you live in Belgrade or in Kuala Lumpur or in Manila or anywhere else. Does it make any difference if you are located in Singapore or the United States in case you’re doing all your business activities through a website? Basically, all you need to run a drop shipping store is a stable Internet connection. Can you go online effortlessly? If yes, then there’s nothing that can actually stop you from becoming a dropshipper. Let’s go over the whole process again so you could see it more clearly. So, let’s suppose you’ve made up your mind on the perfect drop shipping niche. To start your business, you need to get a proper website. You can either build it yourself if you get both the skills and knowledge, or alternatively, you can order a ready-made store that is customized to fully suit your needs. In any case, your own location makes absolutely no difference. Internet is global, so all the online works can be done from any place worldwide. As soon as the website is ready, you need to fill it with items. These are not your own products; they don’t belong to you, you don’t manufacture them, and you don’t store them in a warehouse. Physically, you don’t even see these items – you just post pictures and descriptions of them on your website. Again, does it matter what’s your country of residence? You don’t deal with storage facilities, and you’re not managing a factory or something. You just find a reputable online seller who has good quality products, and basically repost their pictures and descriptions on your own website. Obviously, you need to make the product pages look perfect, but still, it is all done online, so your physical placement makes no difference at all. So, your website is fully operational, and one day you see that someone has just placed an order for some of the items you’re offering. Your further actions are really simple: you contact the owner of the store where you’ve taken this particular product description, pay them the item price, and ask them to deliver the item to the address of your own customer. Your physical actions are not required. You simply write an electronic message to the actual seller to place your own order, and you don’t have to do anything else. All the product issues and delivery tasks are the seller’s responsibility. You only need to write a couple of messages, and this can be done from any point on the globe that has Internet connection. Still unsure you can dropship from your own country? Are there any shipping limitations? You’re not asking the original seller to ship the item to YOUR country. You’re asking the original seller to ship the item to the country of your buyer. Your location doesn’t matter at all. Yes, you need to check the delivery terms of the seller you’re working with, but you only do this for the convenience of your clients. Your place of living has nothing to do with it. As a dropshipper, you are free to partner with any sellers at your choice. We personally recommend to import items from AliExpress. Here, you don’t need to make any formal agreements with the platform, and you definitely don’t have to sign any contracts with the sellers. You don’t have any paperwork; you simply need to place your order and write the seller a message in case you want a customized package or something like this. Well, we hope you got the idea. AliExpress sellers don’t really care where exactly do you live. As long as you order items from them and pay for your purchases, they are more than happy to communicate with you. And of course, speaking about money, we also need to answer a highly popular question you can see in the following paragraph. Are there any payment limitations? When you order an item from AliExpress, you can select the payment method that is the most convenient for you. The platform offers a number of secure ways to pay for your purchase, so whatever country you live in, you are most likely to find at least one way to safely pay for your order. This is why we typically recommend to integrate multiple payment options into your website: you need to be able to accept both credit card payments and PayPal payments. The reason is, you’re targeting customers from very different parts of the world, and they may have various preferences and limitations in terms of online payment methods. For example, PayPal doesn’t accept payments originating from several countries. So, if you provide your potential customers with an additional way of making a payment (for example, with a credit card), you have it all sorted out. As you can see, you’re unstoppable. Quite a nice reason to start your own drop shipping journey, right? How to integrate credit card as payment option. We would need to have business account and need to register ourselves as a company in India? Not required but you may need to associate with payment gateways like payu n the likes which may charge you a fee. I run into trouble when trying register in a payment gateway. The 2 checkout requires the address of your business which I clearly don’t have. Stripe doesn’t work in Russia. So how to address such problems? That’s all over the world. They don’t allow you to dropship to developed countries because of consumers’ right. And they make it impossible to accept payments anywhere else. So, the only possibility is to dropship from US an the like to third world. There’s an universal answer: incorporate in US (some EU countries) and sell to your own country. A huge drawback of the approach is that you won’t be able to be as close to your buyer as a local, to price your goods in a currency of your buyers, thus… compete with Amazon. So, you have to be very creative, to work hard in order to establish your place under the Sun. Dropshipping isn’t plug-n-play-n-forget business. Because the money we are earning comes to us in local currency we are required to pay taxes like income tax at least. I am not sure of other taxes like GST on product sales etc which this article needs to mention. Secondly if I want to sell products from Aliexpress to Indian customers, I will need to charge GST at least and may be customs duty for importing products, please cover those points too from a perspective of an Indian Seller at least. Epacket is not available in India god knows why. Please mention how will a customer of mine in India will wait for 60+ days and that too without any tracking mechanism and no guarantee that it will come either. These are some points that needs to be addressed for sellers like me who want to sell via dropshipping model. I recommend targeting the whole world, or focus mostly on US, Europe, Latin America, not India. 1. If I install your drop-shipping software will I be able to sell in my store products from outside of AliExpress? 2. My biggest concern, really, is the delivery time. I am from Romania, and all deliveries with acceptable transport fee are far away from 7 days. Any hint? 1. Yes of course, you can add any products to your store. 2. The great advantage of this business model is that you can target all world, no point to focus on Romania only. And our experience shows that when you offer a free shipping option, customers are ready to wait. I’m also from Romania and I have the same concern about shipping time. When i ordered products for myself from China, i had to wait 30 days sometimes, so not sure how pacient will be the customers. Or can we choose suppliers that have warehouses in Europe so we shorten the shipping time? Target audience internationally and promote in different countries. and most European are using it for payment how to solve this problem so far ? Hi, you can use credit card payment option on your store or if you have relatives or friends in other countries (where PayPal is supported) you can ask to share an account. I want to know that, I am in India, which legal things are required for this business? Do I need to register my webstore in India? My Existing company is in to trading and services can I use that company’s Tax Numbers/registrations? You need to get to know about regulations in your country, but I don’t think you need any special registration of your site in India and I think you can use that company’s Tax Numbers/registrations. That’s a common problem in many countries. And the problem is not relevant to dropshipping only, but to e-commerce in your country as a whole. So, you won’t solve a country-level problem with a business model, an approach of your enterprise. Unless you address the problem and establish a payment gateway for local currency. But then it’s not dropshipping again. We are running into shipping issues, we can not config our shipping process. IN the checkout process we are able to select one the shipping option but not other and total price not change. Also, in the shipping destination, we are able to select the shipping country, but not the state and city of that country, by default we are getting states from the United States. any recommendation in a plugin or how to config the shipping process, please. It is strongly recommended using free shipping and epacket shipping option for US when you deal with AliExpress dropshipping business model. We are planning to do that, but again the configuration is not working on the checkout and shipping destination, we are using WordPress/Woocommerce. Do we need to using any International Shipping Plugin? or any in particular? Please my question is,if I set up my website and publish my products,will my buyers see my products on aliexpress or any platform am using? Or they will see it on only on my website? Your site will not have any links to AliExpress or other sources, so your customers will see the products only on your store. I am interested…. is there a cash out for starters? How do we integrate credit card payment options? I’m not sure about this. Do i need to have my own credit card? or will the payment will sent directly to my bank account? You need to connect a payment processing service like Stripe. To do this you need to register with it, get approves and then set your credentials in the plugin. I am looking into the whole business model but really got stuck on the VAT/GST and import tax issue. Selling to Europe means to deal with various different VAT rates – each country has its own VAT rate. The same goes for the US and unless you´re not based in one of these major target markets the whole topic of import taxes is pretty much not defined. I got about 5 different quotes from Tax advisors for different countries in the world and most of the registration fees go up to 5,000 EUR in total per year and per country (including monthly revenue reports and anything that’s needed to properly tax every country that´s on the shipping list). So opening as a worldwide shipping retailer also means to register for taxes in Brasil, Singapore, South Africa, The EU (each country or as bulk importer in one), The USA (each state or open a company in one state in order to go with the Nexus exemption) etc etc. Are there any guides and articles that deal with this tax topic? Just pushing the VAT to the end customer doesn´t work out well as 50% of the people will not accept that extra payment after a 3 week waiting period for an eParcel from China. – At least this is my experience from other e-shops I was involved in. Thanks a lot in advance for your answer!! Hello and a very big thumbs up to you Guys Olga, Yaroslav and rest of the team you Guys are really doing a wonderful job out there. I have become fully convinced only one step ahead to join the Ali drop shipping as my side hustle business but my one only issue right now is on how to receive payment in my mother country Nigeria, PayPal isn’t working so also the stripe as u suggested, so now u tell me how are we going to do about that..? Same here in Greece. If i want to accept credit cards as a way of payment i need to have a POS machine, and that requires to start and register my business. Starting a greek llc is too expensive due to the high taxes. What about US LLC someone refered previously? Once my website is established and products are uploaded, how do I attract traffic to my site? Very interested in being successful in my online e-commerce site. Can I do this dropshipping business in Nigeria? Guys let’s be serious.. I will present my debit card with revenue. The state of Greece for example will ask me how did I get this income. So I will have to present them with a legal source of activity. The activity is shown through invoices. So let say that I sell an item to a customer in greece, the item originated from China. The invoice should be as follows: item: 100euros, quantity: 1, 24% VAT: 24 euros, Customs:?, Tariff:?, Other expenses:? Now let’s say that we can show the state of Greece this invoice. The state of Greece will ask me. Who is you client? By an accounting point of view my client is not only the customer but my supplier as well. Why? Because I print a document (invoice) FOR my supplier, and this automatically makes my supplier a Client. The problem: how can I represent this INVOICE into a JOURNAL ENTRY: No one knows here in Greece. I have to have 1 accountant to translate all these invoices from each and every day into specific journal entries in order to avoid tax evasion or fraud here in Greece. An other workaround is to make a super integrated erp system that takes customer’s location, my suppliers location and it creates super journal entries for each transaction. Do you have a solution on this matter? Foivos, we try to sort out such issues for years. Not in Greece, but the location is not important. There’s only possibility to name your activities an agency. In a case of transborder dropshipping you have no other chance to do it legally at a large scale. Well, do it legally and with a profit. Should you act as a seller, all your proceeds would be assumed your profit, taxable, of course. It’s not a straight forward business. As a dropshipper, if jm dropshipping products that considered prohibited in my own country will that be legal for me to dropship it to other country where there is no probibition of that item as long i dont dropship it ti buyer from my own country? 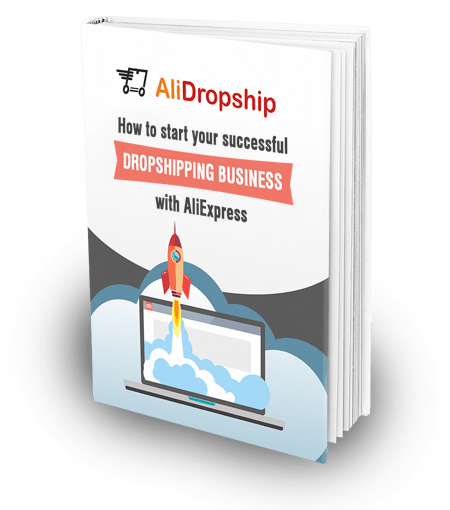 How can i start my own dropship.? It works for ANY country. How can I open PayPal company account while working from Nigeria? Hi. I want to order a custom store but I don’t have a credit card. Can I pay thru PayPal? Thanks. 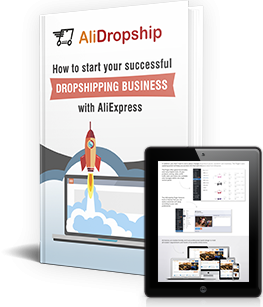 Yes we c an use PayPal, just contact support@alidropship.com.